Freezer meals are a real savior of your busy work life and give you a chance to prepare yummy meals every day without allotting much time as you can make them in advance and freeze for later use. 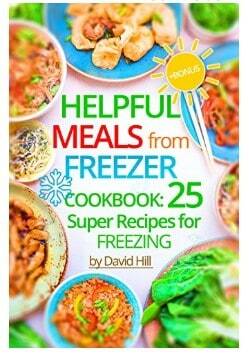 Amazon has Helpful Meals From Freezer Cookbook Kindle Edition for Free for a limited time. Don’t have a Kindle? Get your Kindle here, or you can download a Free Kindle Reading App for your computer or mobile device!